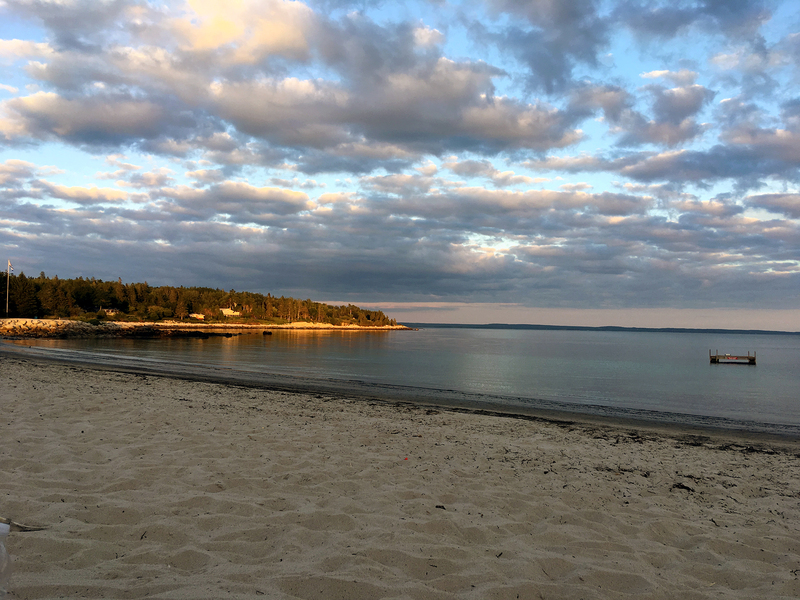 Basking in white sand beaches on Nova Scotia’s south shore in Hubbards and Chester before exploring the beautiful historic town of Lunenburg. We also watched the sunset over Peggy’s Cove and spent a night in Antigonish before hitting the Canso Causeway in mainland Nova Scotia. After departing PEI, we were on a new mission to collect a very special antique from a family member in southern Nova Scotia. 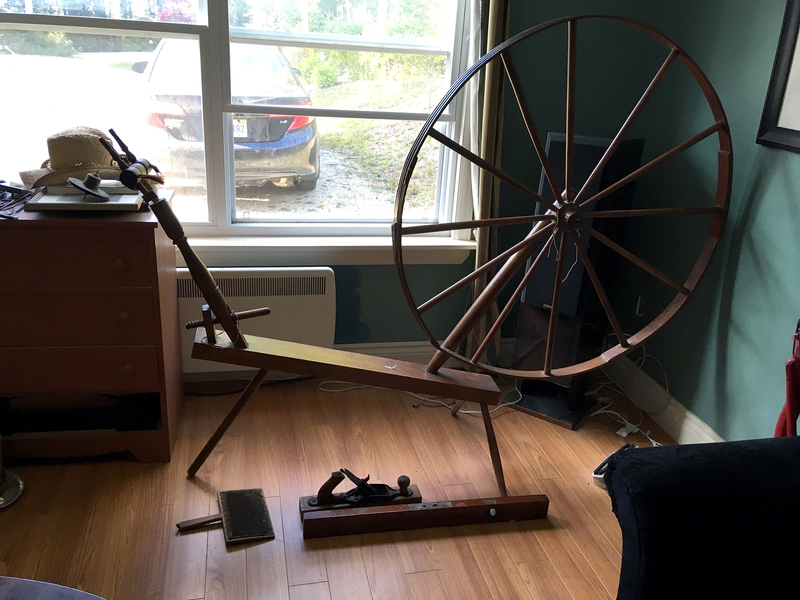 It was a 150+ year old spinning wheel used by Justin’s grandmother and great-grandmother for years to make yarn. We made our way down to Hubbards to see it, but not before grabbing a bite of donair on the outer rings of Halifax. If you’re American, you probably don’t know what I’m talking about but Halifax donairs are pretty famous and boast a wrap-sandwich-thing like no other – especially in the realm of drunk food. The secret is in the sauce, which has condensed milk in it, giving it a sweet taste as opposed to the usual heavy garlic of a shawarma or gyro. If you’re in Halifax, it’s practically your duty to at least try one. That being said, they’re not my favourite (womp womp woooomp) but at least I did my due diligence as a tourist. Also, do yourself a favour and tie up your hair before eating one – sauce in the hair is inevitable, no matter how proper you are. Saucy hair in tow, we made our way down to Hubbards, about half an hour outside of Halifax to meet up with Justin’s first cousin once removed (we spent way too long studying cousin charts to learn that that’s what your dad’s first cousin is to you to not use the term). We drove by some pretty gorgeous sandy beaches like Queensland Beach that made us question if we were in Nova Scotia or Florida. Seriously, these beaches were very different than the usual rugged and rocky coastal beaches. Another interesting thing is that although these are ocean beaches, most have a freshwater lake beside them. Pretty cool. Once we got to Hubbards, we disassembled the spinning wheels and realized just how big it was; the wheel itself was about the size of our bed. Luckily we didn’t have to transport it all that far. The East Coast hospitality continued as we spent the evening drinking beers on a private beach while the sun was setting and enjoying the last couple weeks of summer. 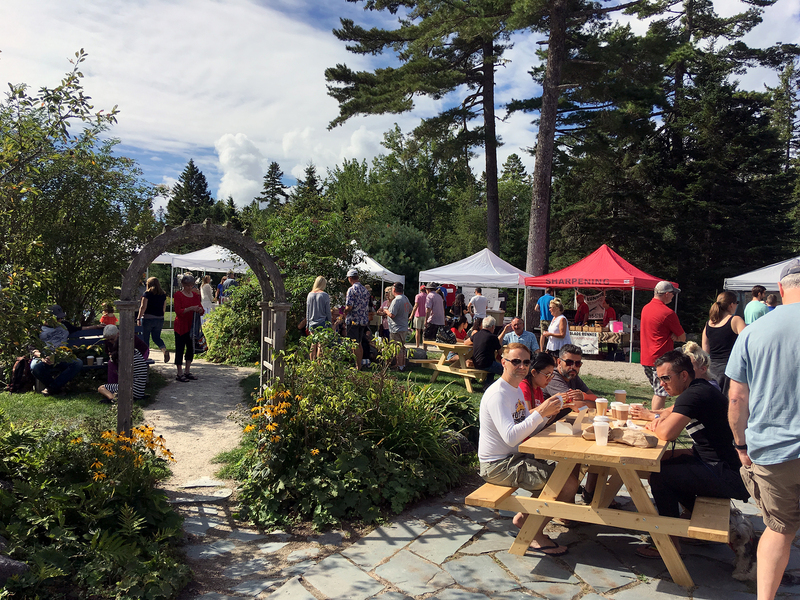 We woke up the next day and checked out Hubbards’ farmers market that was filled with an interesting mix of people of all ages. Although not a place we had ever even heard of, we totally understood why Justin’s first cousin once removed (sorry, had to) has spent 20 years there. A small enough town for everyone to know your name but still with unique events going on all the time. 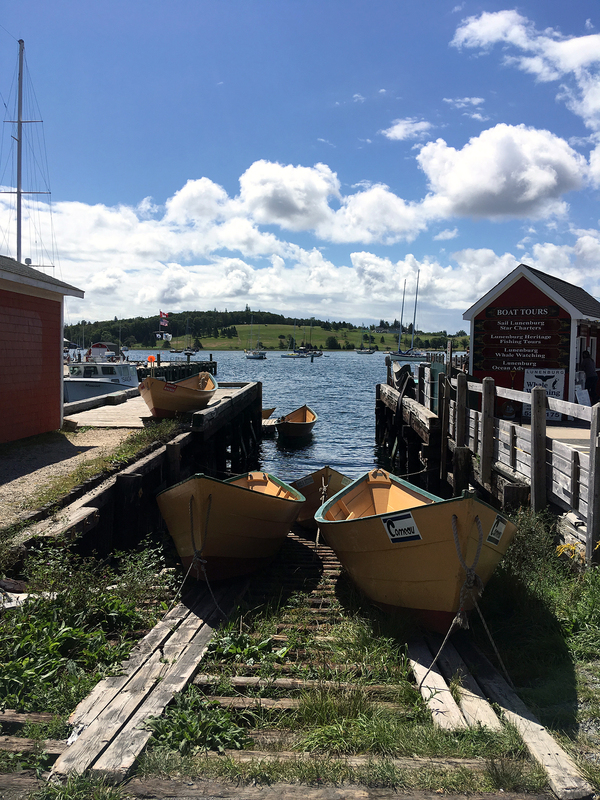 After leaving the market, we drove through more beautiful seaside towns like Chester and Mahone Bay that made us lust over south shore Nova Scotia. Sid, Justin’s dad’s cousin, took us to Lunenburg, which is a town out of a postcard. 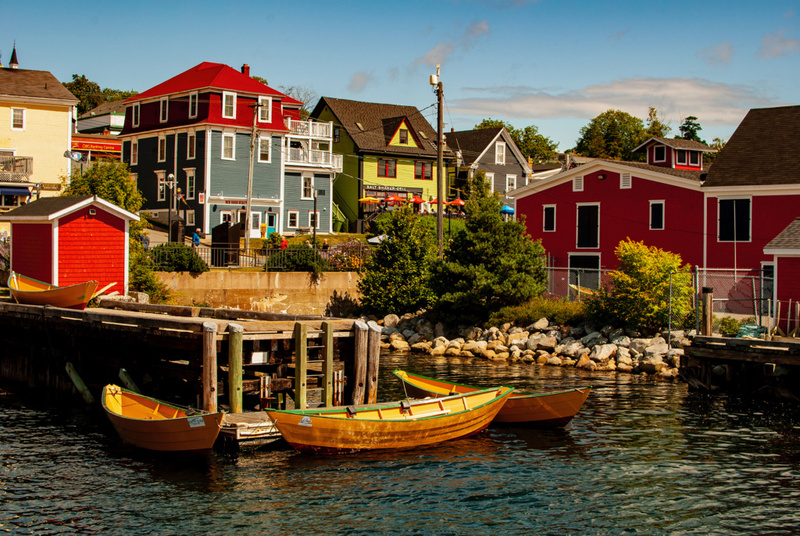 It’s also a UNESCO World Heritage site and played a big role in Nova Scotia’s history. It’s now the home to the Bluenose II schooner that was unfortunately out at sea the day we were on the wharf. The town is full of colourful buildings and amazing boats from all over, really similar to the coastal towns of Scandinavia in Sweden and Denmark. We walked around all the hills, popping in and out of cute little shops and eventually having a bowl of chowder while overlooking the ocean. Does life get any better than this?! 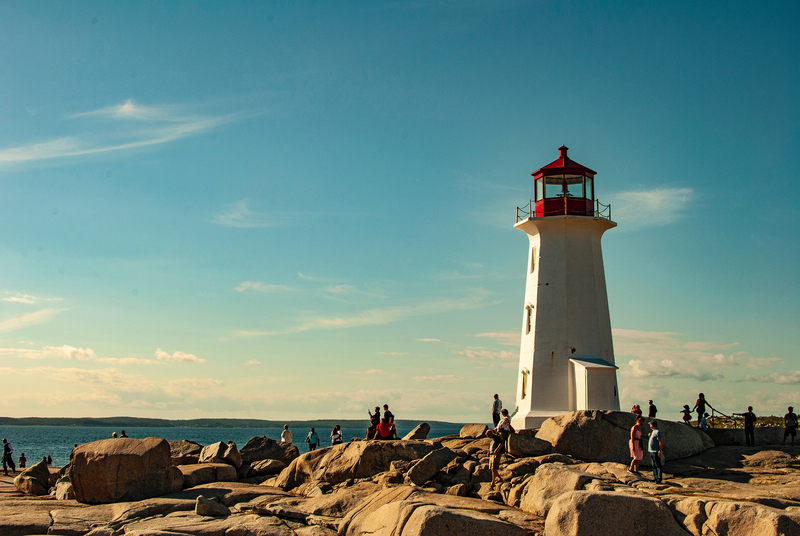 After another open-ended goodbye, we set out to Peggy’s Cove to see one of Nova Scotia’s most iconic sites. Driving along more of the south shore was absolutely breathtaking and made for some pretty spectacular scenery. The views didn’t stop when we got up to the lighthouse where the rocks turn into smooth almost white boulders and the land opens up to beautiful, open coastline. As the sun started to set, we did our best to avoid moose on the road by boogying through Truro and New Glasgow to a gravel pit not far from Antigonish. Here we were close to the causeway to cross onto Cape Breton Island the next morning and do the Cabot Trail. Unfortunately we didn’t have time to visit downtown Halifax but seeing how much we enjoyed the south shore, I’m sure we’ll be back again.